September 26, 2016 – NASA’s Cassini spacecraft looks toward the brilliant disk of Saturn, surrounded by the icy lanes of its rings. Faint wisps of cloud are visible in the atmosphere. At bottom, ring shadows trace delicate, curving lines across the planet. Prometheus (53 miles or 86 kilometers across) is just a few pixels wide in this view, barely visible as a dark speck in front of the planet, below the rings and to the left of center. Between April and September 2017, Cassini will plunge repeatedly through the gap that separates the planet from the rings. This view looks toward the sunlit side of the rings from about a degree above the ring plane. The image was taken in green light with the Cassini spacecraft wide-angle camera on July 21, 2016. 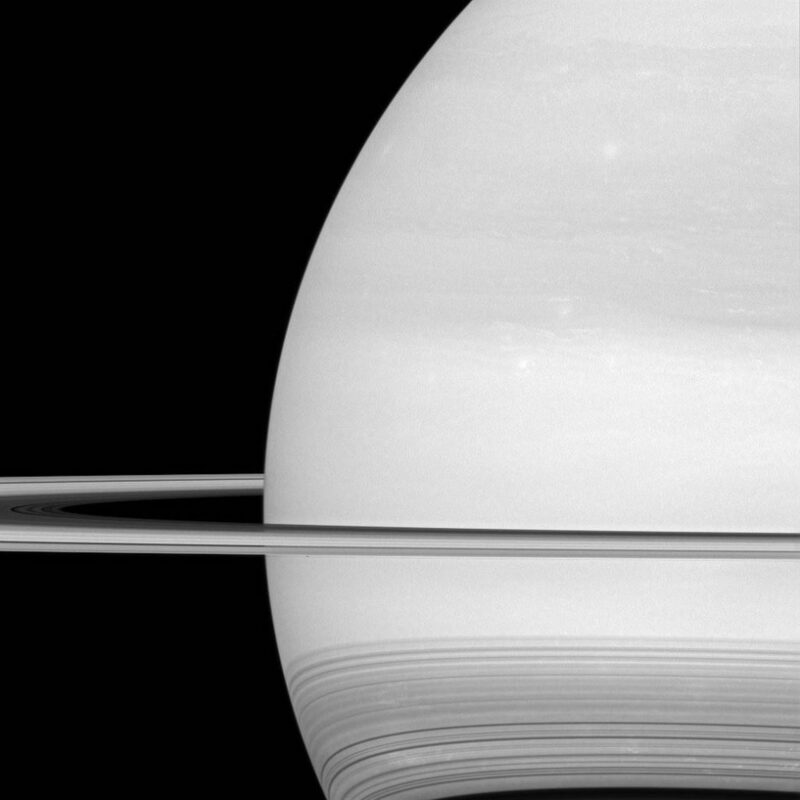 The view was obtained at a distance of approximately 529,000 miles (852,000 kilometers) from Saturn and at a sun-Saturn-spacecraft, or phase, angle of 37 degrees. Image scale is 30 miles (50 kilometers) per pixel.